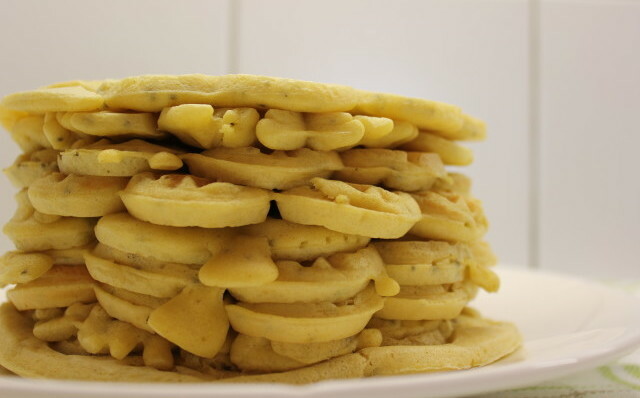 Nothing says Good Morning like a stack of waffles. This waffle recipe is one of my favorite. Gluten sensitive or not you are gonna love them. Why Gluten free? Well, many people are gluten sensitivity and it is believed that one in a hundred have the Celiac disease. Gluten is a protein found in wheat, rye, barley and triticale. If you are having some digestive problems perhaps you should eat gluten free for some time and see if your digestive system will get better. Remember to listen to your body and of cause your doctor. These waffles are crispy on the outside and a bit fluffy on the inside. Best of all, these waffles are easy to make. Just toss the ingredients in your blender or food processor. Put all the ingredients into your blender or food processor and mix it together. 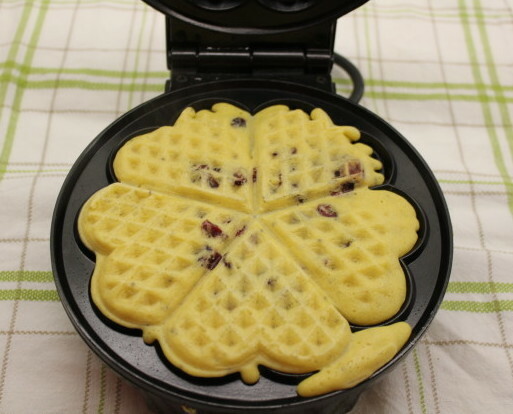 Let the batter rest for 8-10 minutes while your waffle iron warm up. The resting time gives the flour time to soak up some of the moisture. I like to add some Chia Seeds into the recipe. Chia Seeds are a good source of Omega 3 and Omega 6 fatty acids.